Living Stones (Lithops) - Buy it Now! 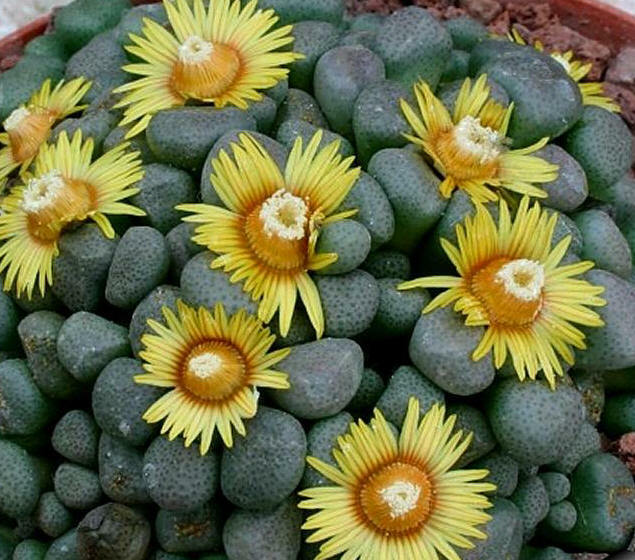 Living Stones (Lithops) - This succulent house plant is an unusual plant that gets its common name from its resemblance to stones. Inch-tall, succulent leaves are flat topped with transparent windows that let light into the plant. Small, white flowers appear in the center split in late summer and through fall. During winter, new leaves form within the center of the plant. As the new leaves grow, the old leaves shrivel up. Grows well in bright light and average-to-cool room temperatures. A live plant in a one-and-a-half-inch pot - $10 each or 3 for $28.50 - You save $1.50!